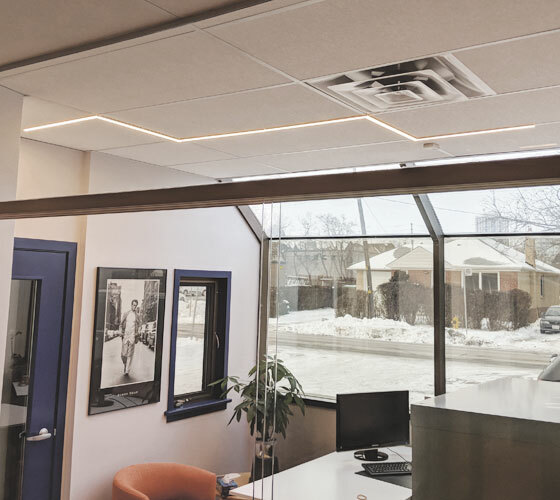 In an office with multiple desk spaces, the desired lighting needed to not only illuminate each desk, but offer a stylistic component as well. 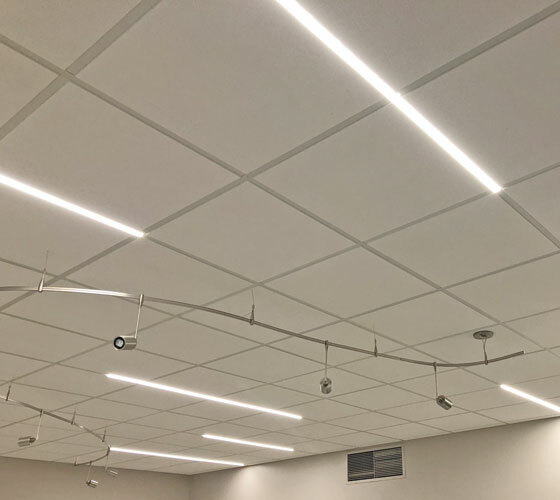 The ability to incorporate Airelight™ Linears into pre-existing ceiling grids without any design reconstruction made this a smooth, custom installation. Additionally, when the lights are off, the Airelight™ Linears go completely unnoticed. Airelight™ Linear SC 0.5 Attached with Magnets to the T-Bar Grid. 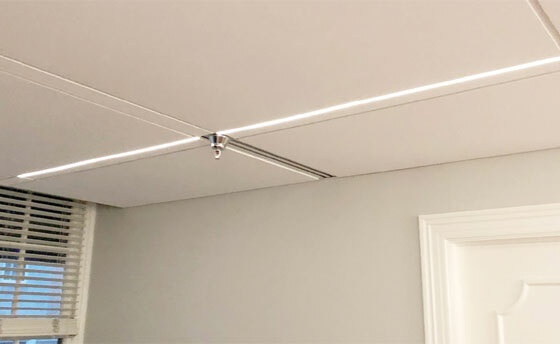 The thin profile of the Airelight™ Linear is preserved when directly attached to the T-Bar Grid with magnets. Each ribbon connector has 4 terminals to allow for ease of wiring multiple Airelight™ Linears to the power supply.